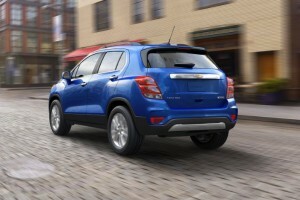 While 2015 was the first year that the Chevy Trax was on the market, it was also 2015’s second-best selling small SUV in the United States!¹ Since the Trax is so popular, Chevy made sure to make the 2017 model have the latest technology and feature a new jaw-dropping, contemporary design. Going on sale in fall 2016, the 2017 Trax features a new athletic and fresh exterior design with a restyled hood, headlamps that flow into the front fenders to improve lighting and a new taillamp design. The exterior comes in eight adventurous colors – four of which are new for the 2017 model. Choose from Red Hot, Blue Topaz Metallic, Nightfall Gray Metallic, Orange Burst Metallic, Crimson Metallic, Mosaic Black Metallic, Silver Ice Metallic and Summit White. The Trax is versatile with its 60/40 split-folding rear seat and fold-flat passenger seat, which create a total of eight different ways to accommodate your cargo and passengers. Also, when the front passenger seat is is down, you can transport objects up to 8 feet long! The redesigned center instrument panel showcases a 7-in MyLink touchscreen infotainment system that is Apple CarPlay and Android Auto compatible and has 4G LTE Wi-Fi for up to seven devices, Siri Eyes Free and Bluetooth hands-free calling. 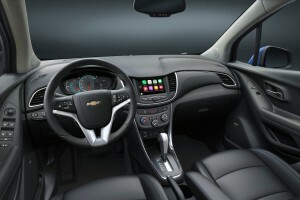 The 2017 Chevy Trax introduces new safety features like Side Blind Zone Alert, Rear Cross Traffic Alert, Forward Collision Alert, Lane Departure Warning, a standard rearview camera, keyless open and start and 10 standard air bags. 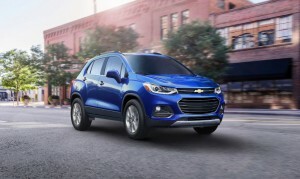 Rated at 138 horsepower and 148 lb-ft of torque, the 2017 Trax features an Ecotec 1.4L turbocharged four-cylinder engine with a 6-speed automatic transmission. The available AWD provides extra traction when faced with challenging road conditions, and switches back to FWD to maximize fuel efficiency when AWD is no longer needed. The 2017 Trax gets up to 25 mpg in the city and 33 mpg on the highway. 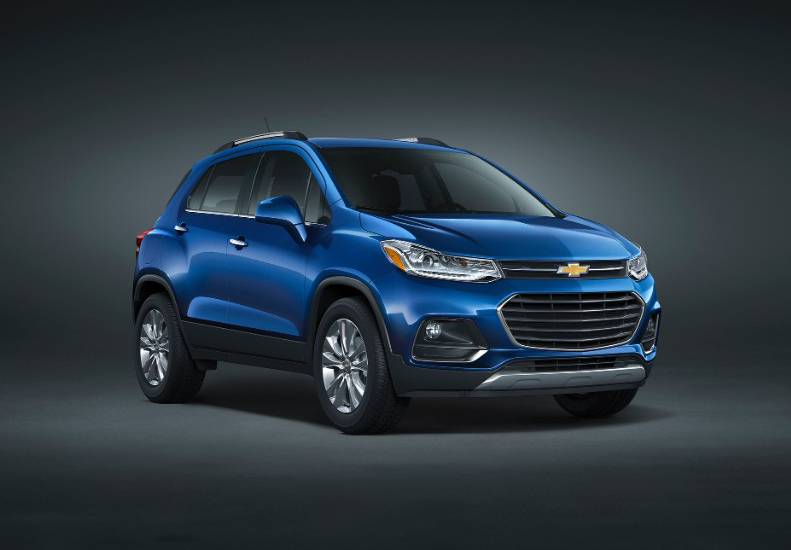 Stop by Pat McGrath Chevyland in Cedar Rapids, Iowa to learn more about the 2017 Chevy Trax! Visit one of our nine locations! We serve the people of eastern Iowa – like Cedar Rapids, Iowa City, Waterloo and Dubuque. Since 1957, McGrath Auto has been proudly providing eastern Iowa a friendly place to buy a new or used vehicle from loyal people who care.